Just few days left to get 'Color Your Season' products. They are available till the end of August. The bundle is great for all year around and is very versatile. The images are designed to be colored with water color pencils, blends, blender pens or to be sponged. You choose your favorite coloring method. Here is 2 cards using same layout, but two different coloring methods for flowers. First - colored with blends. I like the look, but it takes some time to color. Sponging methods is very fast and great for mass production. Take advantage of this bundle - time is running out. 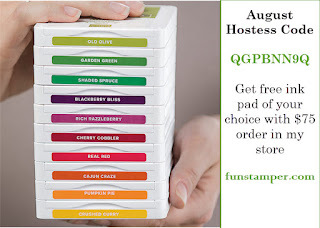 Hostess code for August is QGPBNN9Q. 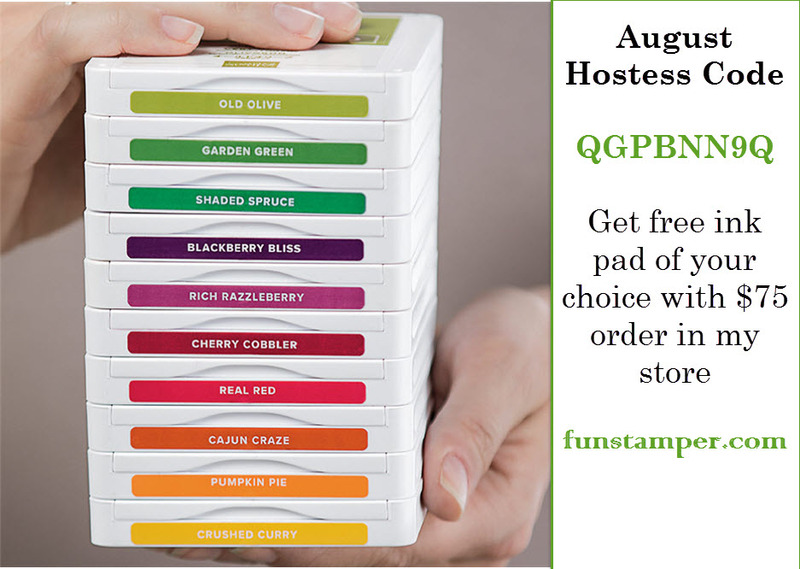 Receive a gift from me - Free ink pad of your choice with $75 order in my store. This promotion is only valid from me and with hostess code. After you notify me with your choice of color - the ink pad will be send separately around 1-2 weeks after your original order.